Всем привет и добро пожаловать на блог хоп Honey Bee Stamps Day 1. В течении двух дней наша дизайн команда будет делится тонной вдохновения с новым релизом. Hi everyone! Welcome to Honey Bee Stamps Blog Hop Day 1. During two days our design team will share with you a lot of inspiration with new release. И в этом посте я хочу показать все открыточки, которые я сделала с новым релизом. And I want to show you all my cards I made with new release. Надеюсь вам понравился новый релиз и не забудьте посетить Honey Bee Stamps Blog что бы узнать как выиграть классные призы. Hope you love this new release! Don't forget to visit Honey Bee Stamps Blog to check how to win amazing prizes! I absolutely ADORE your style. Such fun + happy cards..love your use of color. So many gorgeous and fun cards! I love them all!! These are so cute!! Thanks for sharing!! All of your cards are super adorable! Love the bright, happy colors you used! Beautiful set of coordinating cards. Pretty bright color palette! 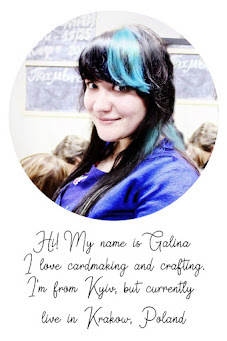 So many gorgeous cards, Galina! I really love your honey jar.. and the frappe cup! Your pastel clouds are amazing also! All of these cards are beautiful. I love how bright they are. The different background colors in the Chin-up Buttercup card is so pretty! Beautiful cards! I expecially like your Life is Sweeter card. Very cute! Wow, lots of awesome cards! I love the shaped cards - they are just so fun! And I love the way you stamped the plaid in four different colors. Beautiful style! I absolutely love the card with the nested hearts! Such bright and fun cards thanks for sharing!!! Beautiful cards! Thank you. I just love the stacking stars and hearts! Beautiful colors that you use to bring your cards to life! These are all so pretty! I love your beautiful coloring! My favorite is that adorable frappe card! These are all so pretty and sweet! Beautiful colors on your cards! I especially love the birdhouse card. I like the variety of products in this release. Fabulous variety. Love the cute and cheery colors and the gingham. These are sooooo much fun! I love the Honey Pot one the most! But all the sentiments and layouts are great! Your rainbow clouds are my favorite of all of these!!! The colors for the clouds on your first card are beautiful and really make the card pop! That honey jar card is beyond cute! Love all the cards! These colorful cards would put a smile on anyone's face and I love the ginghams! Love your work.Thanks for sharing. Wow, wonderful work with your new goodies, thanks for sharing!!!! 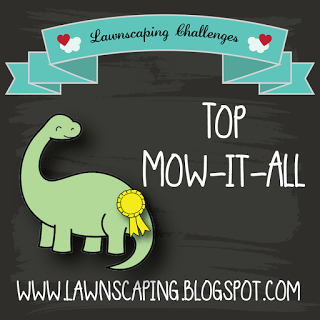 Wow, you've been busy making all of these fun cards--I like how cheerful they are! WOW, youve defiantly enjoyed making these cards, so many fantastic cards, bright, cheerful & fun. Hard to choose a favourite, in fact I can't ! Thank you for all your inspirational cards. Oh my, so many wonderful projects and cards! I think the last one is my favourite, but the one with flowers and bees (with the rainbow background) also stole my heart! Such fabulous creations! Love each one of these colorful, happy cards!! You've shared a gorgeous range of cards today with these fun new products. Love the scene with the birdhouse and hive. Thanks for sharing your creativity. So much awesome here!! Love every single bit! The beautiful gorgeous color... all of your bright happy style... I need everything I've seen...lol! Thanks for the inspiration! Such great colors so bright and beautiful. All different and all lovely! Wonderful cards! Love the bright colors. You have really shown what great products are in this release. All of your designs are amazing, and the honey jar one is my favorite. I like that you stamped the HI on the inside of the card and put the die cut honey on the outside. So many cute cards. Love your use of bright happy colors. OH WOW!! So many different fun bright colors & techniques!! Love all your cards!! Love your choice of colors. Very bright and cheery. Lovely cards, Thanks for sharing. Love the gingham squares on the first card. the clouds of the second is fabulous. Holy cow! Such an awesome display of cards. You showcase this release so beautifully and I am inspired. Thank you! You have been a busy girl! Love your bright cheery cards. Makes me happy just looking at them! What an amazing collection of cards! Perfectly sweet and wonderful - wow! I love your work. These are all such uplifting cards. Gorgeous cards, love your colours, great inspiration! such fun bright cards - especially love the buttercup card!! Wow, you made so many bright and happy cards. I really like your mason jar shaker with the cute bee. I love what you have created! Love your cheerful happy colours an all these wonderful cards. Great cards - such a wonderful assortment! so many absolutely beautiful and colorful cards! I love the clear panel where the sentiment shows through on the frap card, great idea! WOW ! You had great fun with this release ! All your creations are beautiful ! I love your choice of colors. The second card is specially adorable, I love your idea of various colors for the clouds. Thank you for sharing your creativity. AMAZING, ADORABLE, GORGEOUS, So many FANTASTIC cards! I just love them all!! Oh wow !! What a beautiful set of cards !! I love them all , no exceptions ! I also love so much your color combos, fresh perfect for summer. AWESOME projects! Love everything I see here. Thanks for sharing! Love all your colorful cards. Especially love those buttercups on the fun plaid background! great ideas! luv the look of the iced drink! So many great projects! I love the sweetness of these, the happy colors and bright feeling they have! So many wonderful cards here! I love how can create some very CAS cards as well as some more intricate ones, and they all feel finished. Sometimes my clean and simple are just simple, so I appreciate seeing examples like yours. Thanks for sharing with us!